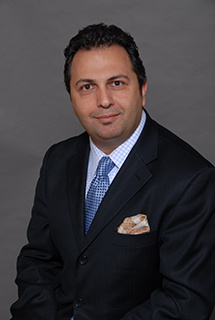 Daniel S. Bandari, M.D., M.S. Dr. Bandari is the Medical Director and the Founder of the Multiple Sclerosis Center of California & Research Group located at the Hoag Neurosciences Institute in Orange County, California. He is a Clinical Assistant Professor of Neurology and Neuro-immunology and the previous director of the MS Center at the University of Southern California, Keck School of Medicine. Dr. Bandari has been recognized as one of the top neurologist in the nation specialized in multiple sclerosis. He is a lecturer and educator at the local, national and international level in diagnosis, pathophysiology, and advancements in treatments and clinical research in multiple sclerosis (MS). Dr. Bandari completed his residency in Neurology at Kaiser Permanente Medical Center in Los Angeles, California where he was also the chief resident and the recipient of the prestigious “Leo Munoz Outstanding Neurology Resident Award”. He completed his fellowship training in neuro-immunology and multiple sclerosis at the University of Southern California (USC) in Los Angeles via the fellowship award from Harvard University Medical School and Brigham & Women’s Hospital before joining the faculty of USC in 2004. During his tenure at USC he held positions of the Associate Director and the Director of the MS clinic between 2006-2008. 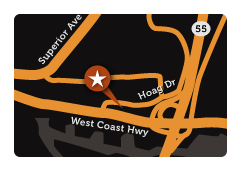 In fall of 2008, Dr. Bandari established Multiple Sclerosis Center of California and Research Group in Newport Beach, California in order to better serve the medical needs of the MS community and to provide innovative and cutting edge research in Multiple Sclerosis locally and nationally. Dr. Bandari has more than 14 years of experience as a clinician and researcher in multiple sclerosis. His research has focused on neuro-immunology and demyelinating disorders of the central nervous system and more specifically on Multiple Sclerosis. He has had numerous scientific publications and has been published in multiple peer reviewed and prestigious medical journals including: " Journal of Multiple Sclerosis & Related Disorders", " Journal of Managed Care Pharmacy", " Journal of American College of Radiology" and " International Journal of MS". His current projects include clinical trials in innovating treatments for spasticity and cognitive dysfunction in MS, clinical studies in neuro- protection, neuro-regeneration and Neuronal Stem Cell projects in multiple Sclerosis. He is also conducting research in new treatments for MS including oral and IV medications. Dr. Bandari is currently a primary investigator and co-investigator in numerous multi-center and international clinical trials of new and advanced sciences in diagnosis and treatment of Multiple Sclerosis. Dr Bandari and his caring and knowledgeable medical staff provide the most outstanding services to the patients and he assures continuous care and special attention to each and every individual patient. He is the recipient of the “Patients’ Choice Award” for 2008, 2009, 2010 & 2011 as well as the prestigious “Most Compassionate Doctor Award” in 2010 and 2011. Following the publication of this award, American Registry seconded the honor and added Dr. Bandari to The Registry™ of Business Excellence. My primary goal of establishing MS Center of California has been to provide care and state of the art medical evaluation, consultation, and continuous neurological care for patients with Multiple Sclerosis. I believe the most important goal in providing care for MS patients is the scientific and comprehensive evaluation and providing new and effective individualized treatments and therefore improving the quality of life of the patients and ultimately finding cure for the people with MS. I continuously thrive on learning by being fully updated with all the advancements in the field of MS and by attending seminars, research conferences nationally and internationally around the world including the most recent ECTRIMS (European Committee in Treatment and Research in MS) and thereby applying new and proven scientific knowledge for my patients. I strongly believe in education for patients and family members and to keep my patients well-informed about the newest and best treatments and researches currently available worldwide. I also strongly believe in providing continues educational programs including community out-reach and educational events for the patients and their families as well as educational seminars for physicians and allied health care providers, MS community, their care-givers, MS support groups and extensive collaborative work with National MS Society and Multiple Sclerosis Association of America educational programs. “Compassionate Doctor Award” – 2010 and 2011. Diplomat/Fellow of the American Board of Hospital Physicians, F.A.B.H.P.